The artwork is part of Monet’s iconic Haystacks series, created in the early 1890s. Titled “Meules,” the painting is one of only four works from this series to come to auction this century. It will be one of the highlights of Sotheby’s Evening Sale of Impressionist & Modern Art, taking place on May 14 in New York. Having remained in the private collection of the Chicago socialites Potter and Bertha Palmer since 1986, “Meules” is expected to sell for a price of US$55 million. In a statement, August Uribe, Sotheby’s head of Impressionist & Modern Art, commented, “It is a privilege to present one of Claude Monet’s defining Impressionist paintings in our Evening Sale this May. One of the most recognizable images in art history, Monet’s Haystacks series has long served as an inspiration to countless artists since its creation in the early 1890s, and continues to inspire anyone who has viewed one of these canvases first hand”. 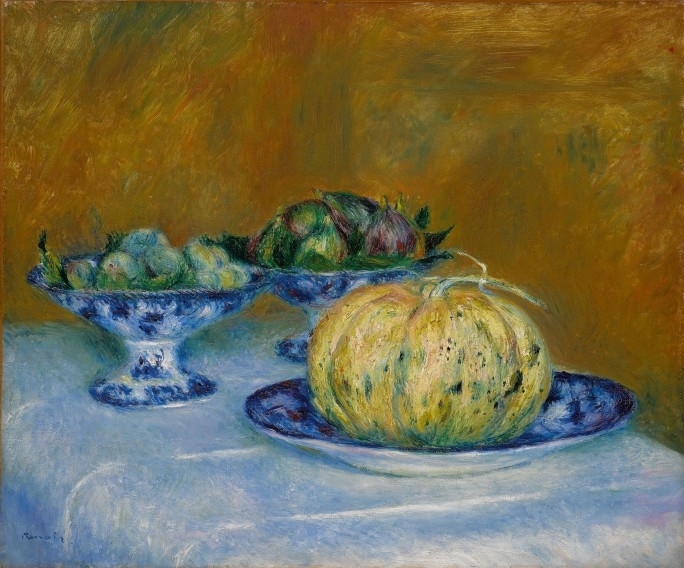 Other highlights of the auction include Paul Signac’s “Antibes, Soir,” estimated at US$4-6 million; Pierre-Auguste Renoir’s “Nature morte au melon,” estimated at US$2-3 million; and Camille Pissarro’s “Le grand noyer au printemps, Eragny,” estimated at US$2-3 million. A Claude Monet painting is expected to fetch US$55 million at auction 0 out of 5 based on 0 ratings. 0 user reviews.